ACC Insurance recently won SIAA’s Partner Premium Growth Award! Paul was raised in northeast Connecticut, spending a few years working in Patterson, NY. He has lived in Arizona for over 20 years, first as a Sales Engineer for a machine tool distributorship. He moved into the insurance industry in 2009 as a captive agent of Liberty Mutual before establishing his independent agency, ACC Insurance. Liberty Mutual Zone Crown Award-Life Insurance – Selling the highest life premium for the Western Zone. 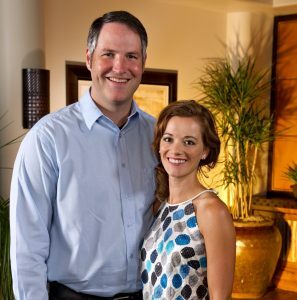 Liberty Leaders – 2011 – Top 10% in sales in the country. Liberty Mutual Legends of Golf Contest 2011 – Top overall sales in the country for 1-5 years sales associates. Liberty Mutual Mulligans Life Sales Contest – 2010, 2011 – Top 8 agents for life premium for the country. Liberty Life Masters Contest – 2010, 2011 – Top agent for life premium for the West Zone. 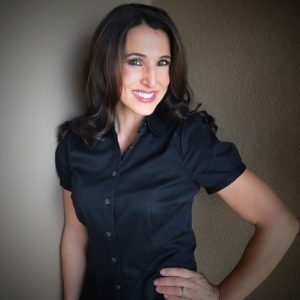 Sarah moved to Arizona in 1994 and has worked in banking, accounts receivable and payable, and as an office manager. Most recently she has worked in sales and marketing prior to achieving her insurance certification. Her organizational skills and follow-through will ensure all client needs are met with care, concern and efficiency. Paul and Sarah are both fluent in American Sign Language. Aaron & Liz joined ACC in September 2015. Both are licensed producers and Aaron has maintained his license since 2005. Both are also certified through FEMA to write Flood Insurance. Aaron first received his certification as a Flood Insurance agent in 2005 and currently serves as a Flood Insurance resource for the Scottsdale Area Association of Realtors – Pinnacle Peak & Cave Creek RMS groups. Aaron began his work in the insurance industry with a focus on Risk Management, Indemnification and Liability contract negotiations for general contractors & sub-contractors working in the residential housing market. Those early days helped shape his approach to writing Personal & Commercial Lines coverage. Aaron & Liz also own a property management company and are the owners and managers of the Fountain Hills Farmers Market. Additionally, they jointly hold a patent with the United States Patent Office. Gregg has been an Arizona licensed agent since 2012 and began working with ACC in early 2016. 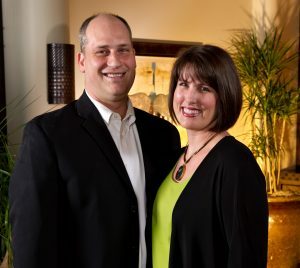 Gregg and Anna arrived in Arizona in 1998, but have spent sixteen years giving back to the community through volunteer work in various places around the world. Included with their volunteer work was seven years spent serving abroad: 3 years in El Salvador and 4 years in Zambia. Gregg’s work focused on teaching local workers facility management and technical maintenance. He provided training ranging from electrical theory and refrigeration to pipe-fitting, structural inspections and landscaping. Anna taught bookkeeping and basic accounting techniques as she helped in setting up simple, organized business/office management systems. Their years of training others helped the communities they worked with to better care for the installations that were built and setup for them so that they could continue to benefit themselves for many years to come. Gregg’s experience with the manufacturing, construction and facility management fields gives him a clear understanding of the commercial and personal circumstances of his clients. Their giving spirit now benefits their community in Arizona as they continue their volunteer work and giving their best to their clients. Gregg and Anna are both fluent in Spanish. 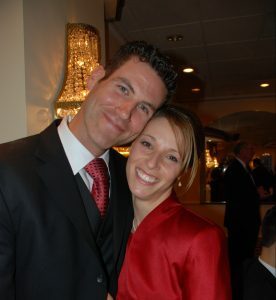 Leah and her husband moved to Arizona in 2014 from Pennsylvania. She had been involved with the insurance industry in PA and has now established her license here in Arizona. Her experience as a dental hygienist for 16 years has enabled her to be discerning and compassionate to the needs of those around her. She has participated in a variety of volunteer programs and enjoys helping those in her local community. Since 2002 she has also owned and managed an online business which has sharpened her skills working with customers to achieve top-rated satisfaction. This expertise coupled with professional communication, quick response time and diplomacy enhance her abilities to service her clients’ needs regarding their personal insurance. Damaris joined ACC Insurance in July 2017. She was born in New York but raised in Arizona. She is fluent in Spanish since her family background is from the Dominican Republic. Damaris started in the insurance industry in 2011 working with State Farm. She has been a licensed insurance agent since 2012. She has also worked in the Optometry field for over 10 years as an Ophthalmic technician and Optician which has helped her focus on the needs of others and provide excellent care. When she is not working she enjoys doing volunteer work, spending time with her husband James, and getting together with her fun and loving family. Damaris looks forward to providing the best customer service to all our clients and helping you with all your insurance needs.